Video of Will 1 SD card DESTROY your pictures? SCIENCE ANSWERS! I know that this has been debated ad-nauseam, but I haven't actually seen any proper data on just how often the unspeakable happens. If anyone is a little tight of purse or just on the fence about it all, it helps to have solid figures to guide one in the right direction. The Northrups conducted a poll among their followers asking them their experiences with memory card failure rates. The poll, consisting of 4,344 people, while not a giant sample size, still seems like a size which one can pull some relevant data out of. And that's one of the things that I think this channel is best at. I always enjoy the Northrup's videos, but I find the more analytical ones to be almost always enlightening with regard to the more technical aspects of photography. The arguments have gone back and forth over this, even on this website, but it's this kind of analysis that might actually sway people instead of one-off horror stories. I won't spoil the results by repeating them here, so please watch the video and share your thoughts below. We cannot really take his findings seriously without being able to look at the setup of his survey. These results seem to only speak about the ability to experience a failure at some point and not at all about the frequency of failure or the number of people reporting their use of each type of card. These findings don't seem to point to any significant statement because yes... the more photos you take, the more likely you are to someday experience a failure. But this study seems to leave out any sample stat information that could have an affect on the results like how many people are using each storage format. I'm not saying speaking to one side or the other in the argument... I'm just pointing out that as someone who works in marketing and has some experience in market research, this seems like a VERY flawed survey. Take his results with a spoonful of salt. Hence my generalizability statement :) I was mainly saying that, provided a representative sample, 4,000+ is actually very large. I completely hear ya though. Interesting, I'm in the 200k-500k group, but I'm not sure his data crunching is sound. I didn't see the survey, but to be fair to older formats, they should have only gone back 5 years at most. I've worked with thousands of CF and SD cards and the CF failed way more, but they were older tech. Both formats failed more in the past, and I'm sure they are both much better now. I've done some events that have required me to hot swap SD cards hundreds of times in a night without issue. The bottom line is, redundancy is good. You just never know. "Card failure" or rarity of is a strawman argument. Yes, cards fail, but rarely. The most common thing to cause loss of images is human error. Period. Another strawman argument is, "back in the day, people only had one roll of film in their camera." Yes, back in the day if you lost a roll of film you lost 36 images. In today's world losing a card can result in the loss of thousands of images. It's objective common sense that having and using two cards in a camera will greatly mitigate the consequences of losing a card. Manufacturers releasing cameras with a single slot is stupid. Having three slots would make it even more safe! Lets make it four! Why are you being a blithering idiot? I know you think you're making some kind of point in a cleaver way, but you're not. Just one extra card can greatly mitigate the consequences of losing a card. Kind of like having one extra tire in your car can greatly mitigate the consequences of getting a flat. Don't get so triggered by things you read on the internet. Objective ruling states that having more than two card slots will mitigate the consequences of losing two cards. What I'd like to know is why you're so strongly against three card slots? We're talking about saving thousands of images here! Triggered? Nah, not triggered. Just observing that you're a blithering idiot. I'm not going to bother explaining why because it will simply open up a silly rabbit hole in which you're trying to take the conversation. So instead of engaging you're just going to name call and tell yourself you're right about why every camera needs to have two card slots without taking a second to think outside of your seemingly entrenched point of view... sounds like you're already stuck in a hole. Would it be so horrible to consider that what YOU consider important on a camera isn't what everyone else cares about? 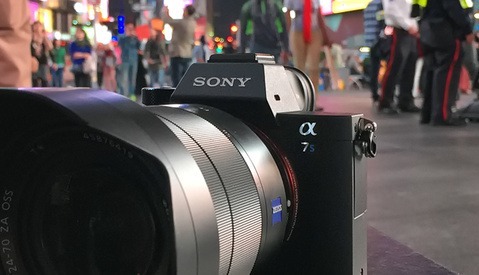 Look... Sony has been extremely successful with their mirrorless cameras that only come with one card slot. 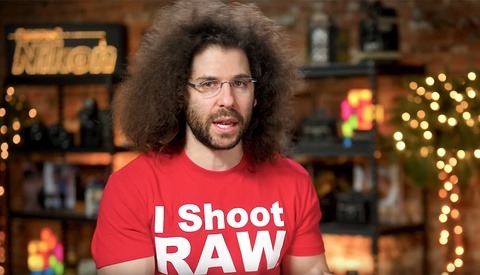 The rate of card failure is unclear because there isn't enough research to make a conclusive assessment so why should a camera company spend the extra money to put it into a camera that isn't their flagship pro camera line? Again, stuck in the myopic canard of "card failure." I will give you the point of name calling. I shouldn't have called you a name. I'm still good on calling your initial response as blithering idiocy, though. Even the most intelligent people can do and say idiotic things. Your first response to my post was idiocy. The bottom line is that redundancy is better than non redundancy. There is not rational argument against that. It doesn't cost that much to add it. And it shouldn't take a "pro" camera classification to get it. My D750 was never marketed as a "pro" camera, but it has dual card slots. It's saved my bacon a few times. Only one failure, but the real saving of bacon has been human failure, ie MY idiocy. A couple of times I was an idiot and accidentally culled keepers. No biggie, my redundant card saved me. One time in a fit of idiocy, I handed my card with about 800 images on it to someone and we fumbled it, dropping it into a storm drain. No biggie, I had all the images on my secondary card. Human error is the very reason your software asks you to confirm if you really want to delete that file or close a program without saving. The point being is that in this day in age, there is no rational reason for camera manufacturers to not offer the option of a second card slot. Chastising those who reasonably call it out is idiocy. I still disagree in the point that failure is not frequent enough to justify the production cost in a prosumer camera. We will just have to leave it as we both think the other is smoking something. Well, It happened to me. Twice with an sdcard and once with the older memory card. Two times, the card failure wasn't of great significance but once I was after a school trip to Oxford. We visited a lot of colleges and it really hurt that my card fell apart. 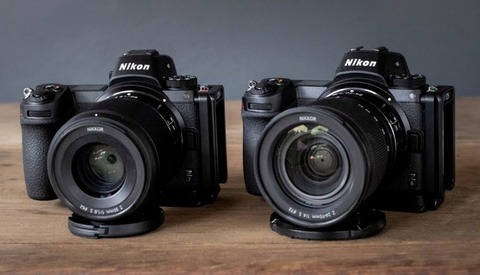 In the case of Nikon Z7, probably the far more interesting polling question would be in order to get 2 card slot Z7, would you trade with 1) size and weight to get dual QDX? 2) lower fps to get QDX + SD ? 3) is QDX+Micro SD acceptable? 4) instead of QDX, having 2 SD slot. Frankly, I would rather keeping existing Z7 size and weight and benefit of QDX instead of two card slots. QDX+Micro SD would truly be foolish. If enough people are truly concerned about having redundant backup, here is market for someone to make QDX version of Eye-Fi. How much size and weight difference would there be with an added QDX? A few grams and at most a centimeter or two? Honestly I don't know, but I can't imagine it being more than 100 grams. For me, an extra 100 grams would make no difference. Personally, I would absolutely sacrifice some FPS for redundancy. Of course, with what I generally shoot (portraiture) I can easily get by with 5 or 6ish FPS. Just having the option would be advantageous for both end user and for Nikon's marketing. In 10+ years as photographer I had no damaged CF and as DIT I saw probably 2 not functioning CF cards that were old and from rental studio .. .
I’ve had four SD cards fail over the last ten years. They tend to fail most during high intensity writiting (shooting video, shooting bursts of stills). In each case the card becomes unresponsive and camera claims card error. Nothing short of formatting it can repair it. Data lost forever. Lexar has been good at replacing them due to lifetime warranty, but I much prefer my dual CF card setup. A simple reformat will not destroy the data for good. It's astonishing to see how much "deleted" data one can extract with the help of rescue software. I am wondering how many of those that rant about single memory card slot cameras, do not have a tested and reliable backup strategy on their computer. I similarly wonder how many people who argue that a single slot is no big deal also believe that not backing up your data once it's off the memory card is no big deal as well. ^^^ This. Those who regularly back up their data on a computer probably realize the importance of redundancy. It's actually kind of a no-brainer. Two cards in three years. Each managed to record only about 15,000 before dying. Data on them could not be recovered and they could not be reformated either. They just died. My opinion is that dual card slots is a bandaid for the bigger problem: SD Cards aren't very professional. Their failure rate is pretty high for something that would get used in a professional capacity. Tony's data showed that SD cards had about 35% failure rate. Even if his data is skewed, that's still way off from yous expect from a high quality storage solution. To compare, Backblaze reported a 1.2% failure rate among their spinning hard drives in their data centers. I honestly think it's time for SD Cards to be phased out for something more robust. That was 35% of photographers, not cards. They might have had only one out of hundreds fail over the years. SD have also been around for a long time and many of those were most likely old hardware. His numbers are all but useless form a statistical comparison standpoint in regards to how the new cards perform. Having 2 cards slot is not enough. You need to also insert the second card AND set it up as back up and not as an overflow option. Realistically if you’re a pro, who are the people worried about one slot, you should be cycling out your cards on a regular basis. The failure rate within a year of purchase on professional cards only would make this useful. Here's my take ... at some point, you will have a card fail. That's pretty close to a certainty, and even if it's not, it makes sense to act as though it were. It follows that you should backup early, backup often. 1. Writing to two card slots simultaneously is as early and as often as it's possible to get. If one card fails, you have the other. 2. I do a lot of travel photography. Each night I *always* backup the day's shots to TWO portable drives i.e. I have two complete sets of backup images for the entire trip. (When flying, one drive goes in checked baggage, one drive comes in carry-on.) You generally have a pretty good idea how many GB/day you shoot when travelling - have two portable drives with capacity for days-travel * GB/day plus an allowance of at least 30%. 3. When I download to my PC, all raw images are copied to local drives, and automatically synced to an attached NAS drive. 4. Post processing, all .PSD files are also automatically synced to the NAS drive. i.e. I protect the original images, and I protect the investment in post-processing. 5. Monthly I bring home a set of big (4TB +) portable drives from work. Using Microsoft's old but very reliable SyncToy, I do a "contribute" sync to these portable drives. i.e. these contain a complete history of every digital image I've ever taken, together with the corresponding PSD files. Once the backup is complete, *I take the drives back to work*. If I'm at home and we have a fire, the first thing I'm going to grab is my wife, followed very shortly thereafter by the NAS drive, and get the hell out of there. If I'm not at home, I have the offsite portable drives. Other than family and memories, everything else is replaceable.